…that you check out Ken Ford‘s upcoming concert at the Henry County Performing Arts Center if you’re in the Atlanta area on November 5. The electric violinist (who has recently released State of Mind) has made beautiful music with the likes of Chaka Khan, Ledisi, Bruno Mars, and Erykah Badu. His November appearance will be with Trace Ellington (yes, a member of this Ellington‘s family). Tickets are $50/VIP Reserved and $40/General Admission and can be purchased here. 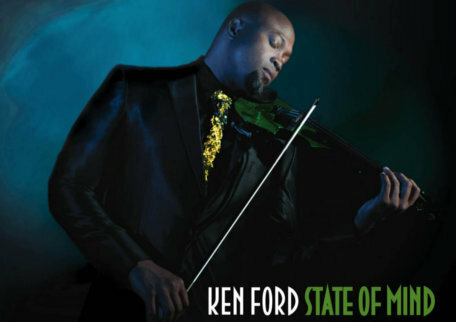 Ken Ford brings the sound of the violin from classical to hip hop with a “skip” – His performance is one that you shouldn’t miss – Trace Ellington is truly a NeoSoul brotha with a Maxwell style. See you at the concert….. Saw this show last year… both artists were fantastic! Trace Ellington is new to ATL but he performed like he owned it! Will be there!